Hello all! Yes, I realize it’s been a dog’s age since I updated. I apologize. Really. Things are so different now than they had been at the time of my last few posts. Some things are better, some not so better, but right now I am on an upward spike in the old mood graph, so let’s just go with that, shall we? The biggest, most awesome news is that I escaped from my job! Yes, Virginia, I actually broke free of the cult-like pull of a place I had been for 10 years and took a step in a new and different direction, and it’s not even teaching high school English! The new job is kind of in a field all it’s own. You could call it ministry, you could call it television/radio broadcasting, but basically I am the new secretary for an evangelistic tv program called The Gospel of Christ. It is under the supervision of the elders at one of the churches of Christ here. I have a wide range of duties, including your usual secretary stuff, answering phones, taking messages, but in addition to that, I package and ship all the CDs and DVDs that go out, I enter donations received and pay the bills and do payroll and taxes, I order supplies, I send the media to our tv and radio stations, I burn the discs from new master recordings, design and print the disc labels, send out supporter letters, etc. So yeah, it’s definitely a departure from the Trained Monkey world I was in before. And best of all… no crazy co-worker who hates me! I’m in a Christian environment, with people who are young and energetic and passionate about what they are doing. I’m learning new things that challenge my brain, and I am literally working for God! It’s pretty awesome. Despite its numerous advantages though, there are a few drawbacks, extremely minor in nature. I’m now putting the same number of work hours per week into 5 days instead of 6, plus I am still at my old job on Saturdays through the end of the year. That means I have to be at work earlier in the day, which has rather wrought havoc with my exercise schedule. I have dropped out of TurboKick class for a month or two because I am trying to get caught up on bills while also saving money for the girls’ birthday and Christmas. In addition to that, the pay raise looks great on paper, but only resulted in about a $50 per paycheck increase in my net pay. Not what I was hoping for, but it will do for now. (I expect that when things settle down around here after the transition, they will realize they can afford to give me a substantial raise.) The major negative about this job is that it does involve a lot of sitting on my caboose, which was not something I got to do very often at my old job. This in turn makes me worry about the likelihood that my caboose will notice an increase in mass and volume, translating to an increase in size, which will make me very unhappy. More on that in a minute. Another drawback is that certain relationships at my old work, long and generally amiable relationships, have, I fear, suffered irreparable damage by my leaving and the timing of it all. Coming up on Christmas in the pack and ship business, it’s kind of a kick in the teeth to a boss you’ve worked for, for more than 10 years, to suddenly take a new job on only a week’s notice. (But in all fairness, it was a now or never kind of thing.) Worse, I’m no longer as close as I was to the few people there I did like, and worst, I was left out of a raise that was given to everybody else the week after I stopped being there full time, even though I’m still working Saturdays through the rest of the year. That hurt, let me tell ya. I still haven’t had a talk with the boss about that one, but will hopefully have a chance to do so while I’m there this Saturday. In case anybody was wondering when I was going to get around to it, the title of this post is a figurative reference both to how much happier I am at this new job versus where I was before, and also the difference a little extra motion makes in my weight loss journey. But I am actually trying to look at this short break from Turbo as a good time to get back to essentials on the WW plan. I want to really re-familiarize myself with the PointsPlus values of foods so that the overall picture stays clear in my head. That probably makes absolutely no sense to anybody. But the title is also referring to the difference between yesterday and today for me, because yesterday was one of those days that I think we all have every now and then (I hope to goodness I’m not the only one!) where we just sort of hate ourselves and our lives and everything we own! That sounds pretty extreme, but in all honesty, The Boy and his twins sisters have been driving me berserk lately with their constant bickering and fussing, their complete lack of motivation to be much help around the house, and their entitled attitude in general. In addition to that, my car kept dying when I was taking the kids to school, I couldn’t find any decent clothes to wear, and I had lost my temper with The Boy before we even left the house. Today, on the other hand, I’ve been in a great mood, didn’t mind my clothes (or lack thereof), the car didn’t die, and I got the kids out of the house and taken to school without any major breakdowns! Furthermore, today at work has been a lot of fun, what with the guys trying to re-build and decorate the studio set and a few other goofy mishaps, and I’ve stayed on plan with WW, so it’s just been a much better day than tomorrow. And isn’t that always a blessing?! Hello all. I hate to have to say this. Really. I do. But here goes: I give you fair warning that this entry may contain ranting, raving, whining, self-pity, and just flat out pissyness. EVERYTHING is irritating me today! Facebook, for example. Another day, another layout. STOP already! Weight Watchers. I just realized I’m down only 6.8 pounds since the middle of JULY! What the heck!? I have been doing Turbo three times a week, but I guess I have only been marginally good about what I’ve been eating, or something, because I keep see-sawing up a little, down a little, and it is so hard! Right now I’m just plain tired of struggling with it. At this moment I am truly hungry- my stomach is literally growling, but after I got home from taking the kids to school I just walked in the kitchen, opened the refrigerator door, stood there staring into its depths for a moment, surveying a narrow selection of “breakfast-y” items, then shut the door in disgust and left the room. I am so tired of having to think about what I eat, so tired of trying to think of something “healthy.” Like what’s that mean, right? I have been trying to keep a detailed food log for this fitness challenge. We are supposed to log every food we eat, along with its calories, carbs, sugars, fat, and protein. And let me tell you- it is a complete crap shoot. Every website comes up with different numbers. Not to mention the challenge of doing a detailed breakdown of something made homemade in a local restaurant. I have the lady’s cookbook, but I don’t know how many servings are in her recipes. Unlike every other cookbook in the known universe, she doesn’t tell you what constitutes a serving and how many the recipe is supposed to make. Cookbook FAIL! Also, I was all set to rant and rave about how it seems like everything I own is an almost-worthless piece of junk! My car, my computer, my slow-cooker, my tennis shoes, my clothes. Yes, I know, at least I HAVE these things. Grateful I am, young grasshopper, really. It’s just that my car randomly dies going down the road. Just cuts out. I have to shift it into neutral and restart it and try to remember not to step on the brake so I don’t get run over. Although I have to say, I’m thankful it didn’t die so far today. I went from Lone Grove to Ardmore and back this morning for Turbo and it didn’t die. Usually it’s good for at least two on that trip. The other items I mentioned are really very tiny little issues that could easily be fixed with a few dollars. Except the clothes. Can’t get anything new yet because I’m still paying for the clothes I bought before our Disney trip, only now some of them are already torn up or way too big. See, this is why writing or blogging or journaling is good for you. I don’t feel irritated anymore. But I still feel hungry. I’m not completely over the “What breakfast can I make that is a)healthy and b)not a repeat of something I’ve eaten 6 times in the last two weeks?” thing. 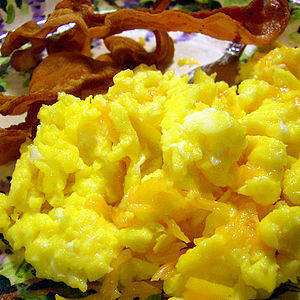 I usually make scrambled eggs, which I try to ‘healthy up’ by adding sauteed veggies like onions, spinach, or broccoli. (Yes, broccoli in a scrambled egg. It wasn’t any better than it sounds.) And I add turkey bacon or sausage and a piece of whole grain wheat toast, usually dry. Sometimes I have a healthy cereal with skim milk, but that lasts about 2 hours and then I’m hungry again. I could have a sandwich with some lean protein lunch meat and spinach leaves instead of lettuce, but then what would I have for lunch? See? Eating healthy seems to demand that I focus on food constantly, which is the exact opposite of what I’ve been striving for, which is to view and interact with food only as a source of sustanance and not an emotional companion or boredom-reliever or any other role you might assign it. Anyway. I guess what I choose for breakfast doesn’t matter, because I’m still sitting here writing instead of getting up and choosing something, and by the time I get around to it, it will be almost lunch time and ‘get ready to go to work’ time, and I’ll have skipped breakfast completely. I’ve been thinking a lot the past couple of days about people from my past. When I woke up yesterday morning, I had been dreaming about a guy I liked in upper elementary/early middle school. Today I was thinking about the guy who was supposed to have gone to my class reunion with me. I don’t talk to either of them anymore, and I guess I’m just feeling nostalgic or lonely or something. I miss people. Not ex-husband people, fortunately. Just other people I never really got much of a chance to know as a person but still really felt attached to, you know? I wish I could look into a crystal ball and see what the reason or purpose was for these friendships, and also see when or if I’ll ever have anybody in my life again. Love-wise, you know. On the other hand, maybe I don’t want to know, especially if I’m supposed to stay single the rest of my life. Well, now I’m past hungry and getting sleepy. Guess I’ll either go force myself to pick something healthy-ish for breakfast and just fix it, or I’ll say the heck with it and go back to sleep for a while until I have to get ready for work. Hello all! Well, today there was another episode of alien body snatching, and I found myself at TFP- The Fitness Professional at 5:40 IN the morning, to participate in something called Turbo! I think its full name is actually “TurboKick, or The Workout That Kicks Your A$$ and Initially Makes You into a Pathetic, Quivering Blob of Wuss-Ness Until You Get the Hang of It and Become a Fierce Machine” but we’ll shorten it for time’s sake! So there you have it. I walked for an hour and 5 minutes total. I sweated like a pig. I got in 3.2 miles and over 7500 steps. I earned 4 Weight Watchers points. And I am Proud of My Self, yes I am. It’s only a little after 10 and I still have to go to work and be on my feet and walk all day, and I need to make the kids walk when I get home, so I wouldn’t be surprised if I get in over 15,000 steps today. Woooo! Go me! P.S. Thanks to my youngest sister, I am planning to sign up for something that sounds like awesome good dirty fun, and that is The Dirty 30 Race! A 5k + 7 tons of mud + 15 obstacles = a heck of a good time! Oh, it’s in July. In Mulhall Oklahoma. In mud. A 5k. Who doesn’t want to do that!? Find one near you! … no, not years! I’m just now planning my 20-year high school reunion, remember? I’m talking about the big 5-0 POUNDS that I’ve lost since starting Weight Watchers in January! Yesterday at my meeting I hit and exceeded the 50 lbs. lost mark. 51.6, to be exact. I got a little bronze-y colored medal. The 25 lb. one was silver. Wonder if the 75 will be gold? But in all seriousness, I am very proud of the work I’ve done. I’m proud of the choices I’ve made to put this in my mouth instead of that, do this walking instead of that sitting, and go to this meeting instead of that fast food restaurant. Not all my choices in the last 6 1/2 months have been perfect, but I can truthfully say they’ve been more aware, more conscious than they had been in a long time. You know, I didn’t realize that I actually have some pretty good self-control. I finally clued in when The Golden Goddess* enlightened me that choosing to eat a doughnut, but first breaking it in half and throwing half in the trash, as I did at work the other day, was in fact self-control. (Obnoxious co-worker’s contradictory but both disparaging comments, “I thought you were on a diet./That’s wasteful!” notwithstanding!) Better wasteful than waistful, I say. Besides, OC-W has no idea what being obese is. She is forever complaining about needing to gain weight. I wonder how much weight my foot would add for her if I shoved it… never mind. Anyway. Another way I need to practice my self-control is to try not to think about how much farther I have to go. I must try not to think about the fact that I might not ever be firm, taut, sculpted or “buff” even if I get to my ideal weight. Yes, I’m realistic– I said ‘if’. I’d like to say ‘when’ but based on the size I attained in previous weight loss attempts and considering the weight I was at that size, my ideal weight range is lower than that at which I looked and felt healthy. Specifically, I was a size 10-12 and I weighed almost 170 lbs, and people thought I looked sickly. If I got down to the recommended weight of 145-155 I’d probably be a size 6 and look like walking death. So I think my personal ultimate goal is probably 165. That’s a good size 8-10 for me, and I think it’s smaller than my sister the exercise fanatic, which I cannot imagine. Instead, I’m thinking about how exciting it will be when I get back down under my Big Number. You all know what I mean by that. All people who have ever had to worry about or try to change their weight have a certain number that either they haven’t been under since high school or they haven’t seen in way too many years. For me, that big number is a weight I haven’t been under since about 2006, since I started gaining weight back after doing the Atkins diet. I low-carbed it for a year or so and lost almost 100 lbs. Didn’t quite get to say “100 lbs in exactly one year!” so I slacked off, and back it all crept. But now I am a mere eleven pounds away from that number again. And I won’t think right now about how many pounds there are between that big number and the next one! I am wondering about one thing, though. I am wondering if losing the weight slowly enough will allow my skin to shrink and tighten, at least a little. I don’t look forward to being skinny and still having “hello-goodbye arms,” or “chicken wangs,” or a “goozle,” or an “apron pouch.” For the uninitiated, the first two on that list are my sister’s and my terms for flabby upper arms; the third item is my mom’s and her sisters’ term for a saggy neck and chin, and the last item is, of course, the tummy flap. (Given the fact that I’ve carried twins and did not have access to a personal chef and team of trainers, the tummy flap may be unavoidable.) The Golden Goddess was raised on ranches and she says that she and I both are Black Angus cows: we have dense skin, which will work in our favor because it tends to shrink back more easily. If we were the other kind of cow, we could look forward to having chicken wangs no matter how skinny we got! Anyway. All hail me, the Black Angus who is now worth a few dollars less at market because she’s lost 51.6 lbs since January 19th! * For a reminder of who the Golden Goddess is, click on the Meet the Cast tab above and scroll to the end. Hello all. Somebody who is raising little boys please tell me that it’s normal that they do stupid stuff without thinking. Stuff that makes you wonder whether their high speed chase video will end up on YouTube or CBS news. Stuff that makes you think they’ll someday either be a career criminal or an Oscar-winning moviemaker. I’m sure there’s probably a lot of room for in-between there, but I don’t know what it is. I do know that my son’s behavior is going to drive me straight into a mental institution, and he’s going to be in his own accomodations right down the hall! It’s my own fault for letting him watch the movies he has watched that have inspired today’s Serious Lapse In Judgement. He is very imaginative, very impressionable, and very creative. Harnessed for good, those traits are wonderful in a kid! When they are in the hands of a child who is also dangerously impulsive and who seems to be unbelievably unclear over the difference between ok and not ok, and acceptable and unacceptable, those traits are a recipe for disaster. I don’t really want to go into exactly what he did today, but playing “pirate” was involved, and there were damages paid. So after stressing out about my whether my kid will someday be headlining America’s Most Wanted and exactly how much I’m to blame for that, I had to go to work. I was definitely not in the mood to be there, and I wasn’t sure how well I could deal. So I borrowed some anti-anxiety medicine from my cousin and spent half the afternoon feeling, shall we say, very relaxed. It felt good. It was the closest I’ll ever come to being drunk at work! If I had a doctor, or if I had some insurance, I might consider getting some of that medicine for myself. Unfortunately, I do not have insurance, and I only go to the doctor when I have the money to pay for an office visit and/or I’m deathly ill, which thankfully is rare. Anyway, I managed to get through my day at work. I had been very tempted to call in sick earlier in the day, but I knew I desperately needed the money, so I went. Turns out that was a good thing, because they were short-handed. My crazy co-worker who is all of 30 years old, said she had to leave because she thought she was having a stroke. She said she’d had one before and she knew what it felt like. She had been talking to her sister half the morning and she only said she had to leave after they had been hashing out drama for over an hour. I swear on my life this woman is completely insane and gets insane-er every single day! Finally I made it home and the kids and I met my cousin at the high school football field track and walked. I did two miles and she did two miles plus one lap. It was a little easier than last time, which was an exercise in frustration, if you’ll pardon the pun. Last time, I was absolutely dragging myself around that track by the 2nd or 3rd lap. This time I had my music with me and it wasn’t so difficult. I still had to make myself go, but at least tonight I didn’t want to throw myself down on the track and pass out. It wasn’t easy but I kept going. The kids had fun while we were walking. The girls practiced driving in the school parking lot. They really loved it and for the most part they did a good job. Afterwards we went to Subway and had supper. Now, in an effort to drive me completely insane, they’re watching “The Nightmare Before Christmas” of all things. They don’t know it, but as soon as the movie is over, they are going to bed, all three of them. Hopefully I can last long enough to make them do what they’re told. I’m about to fall completely asleep myself! We stayed up until very late last night watching movies, and The Boy woke up at about 6! Naturally! Anyway, my number one project now is to find a creative and/or physical outlet for my son, Walter Mitty, and his extraordinarily fertile imagination. If there is a community class out there that combines marital arts, method acting, and zen meditation, SIGN HIM UP, immediately!